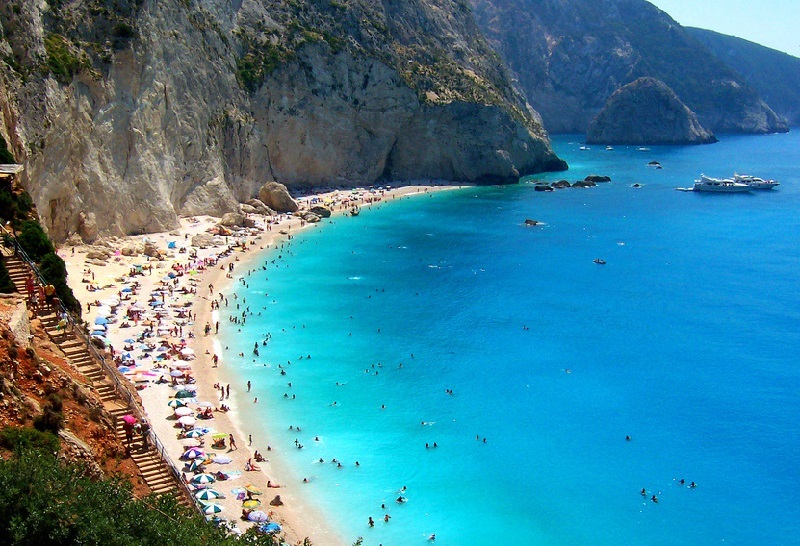 One of the most beautiful beaches of Greece is popular exactly for this reason. Because its waters are the clearest in the country and possibly in the whole Europe. Porto Katsiki beach looks truly fascinating surrounded by incredible hills which make it accessible only by 80 steep steps descending along the cliff.